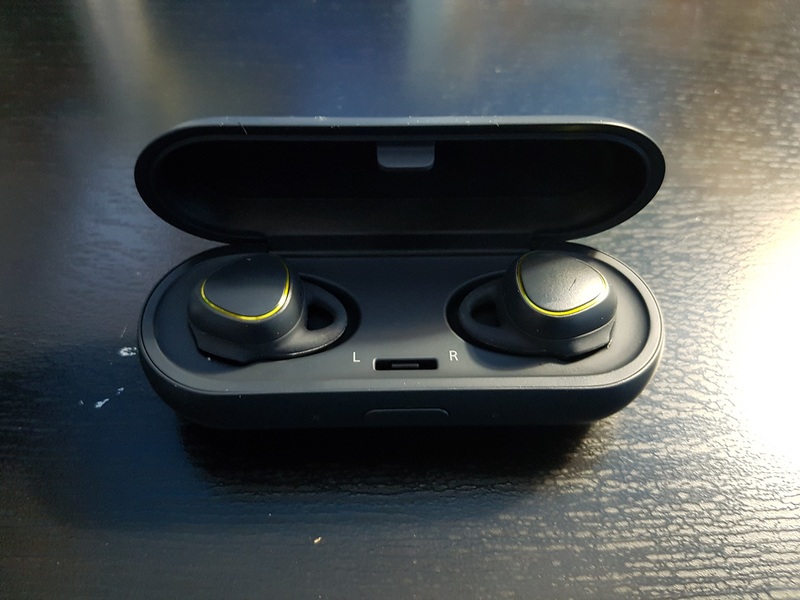 Don’t get me wrong, Samsung did a great job of designing the Gear IconX, they actually look like someone forgot to add the cord to the earbuds and that’s okay. 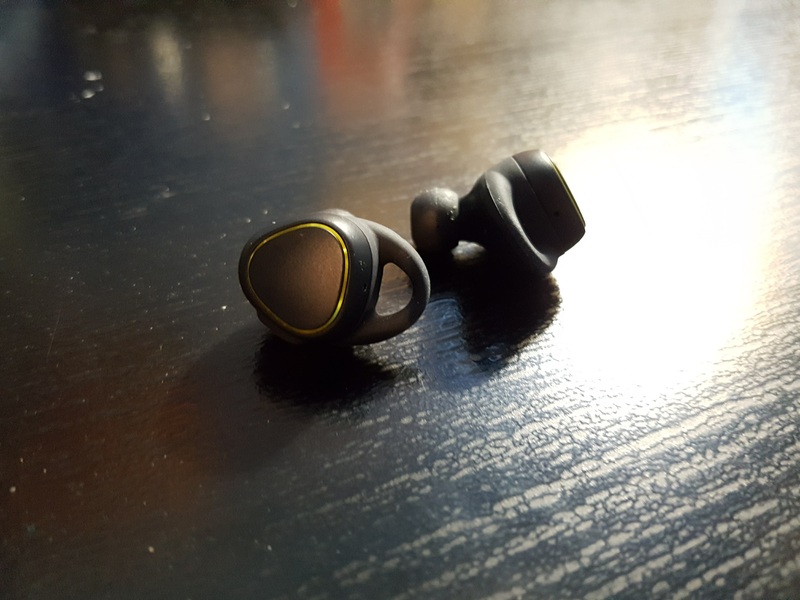 On each earbud, the portion that is expose out of you ear, is a capacitive touch surface which you use to navigate the workout menus and control your music. One tap will play or pause your music, two taps will skip to the next track, three taps will go to the previous track. To control the volume, you swipe upwards for volume up or swipe downwards for volume down. To start a workout, you hold down on the surface and you’ll hear a voice prompt. You can also load up music to the earbuds themselves with the 4GB of onboard storage. The earbuds come with a case that also doubles as a charger and to charge the case/earbuds at the same time, is to plug in a microUSB cable to the port on the back. The Gear IconX at this point, only work with Android smartphones, Samsung has not said when or if it will work with iOS at this point. 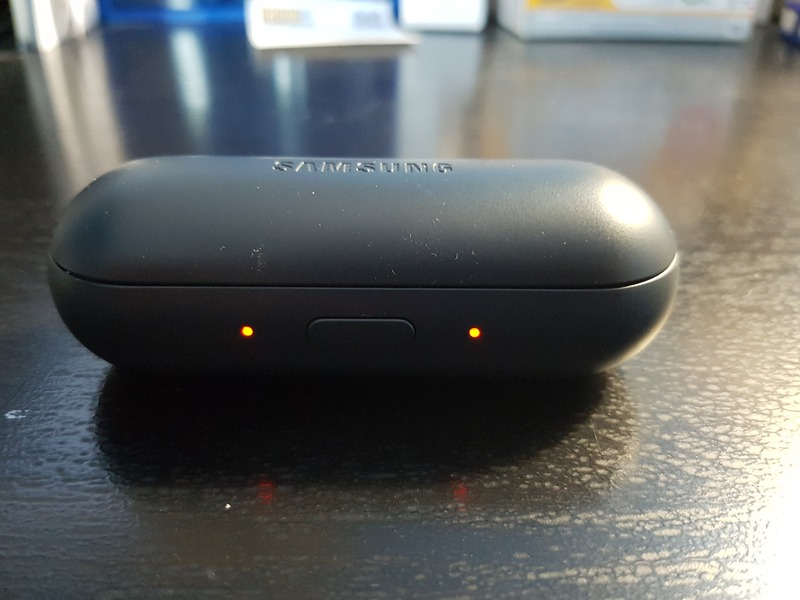 The case/earbuds charge pretty quickly but the battery life of the earbuds is not that great, you’ll get about two hours of listening time which isn’t that great compared to wireless headphones or corded bluetooth earbuds that get about 8-10 hours of listening time. Sure that two hours might be good enough for your workout time but when using the earbuds while on your commute or walking around, that isn’t much. The Gear IconX retails for $279 in Canada and comes in three colours, Black, Blue and White. That is a lot to pay for a first generation product that is only okay. In terms of sound, the Gear IconX sound okay. 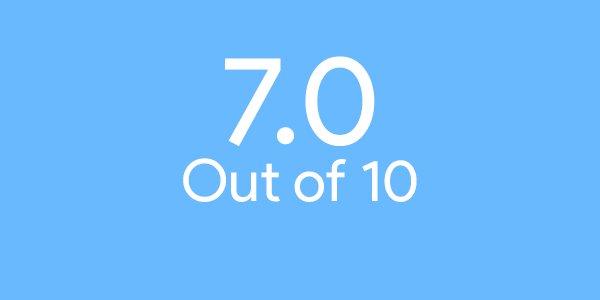 In my testing, I basically had to put my phone volume at full blast to be able to hear my music through the earbuds. There’s no bass and overall the sound could be better. 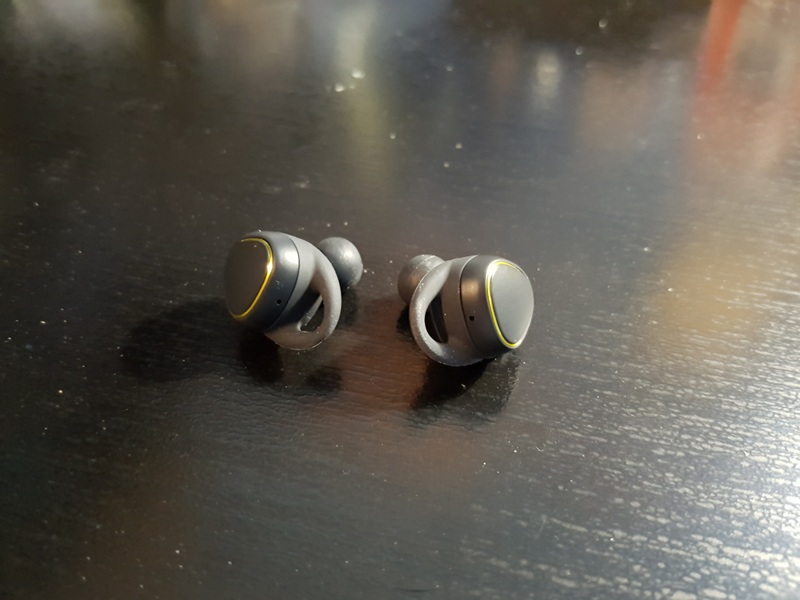 In all honesty, I wasn’t expecting to be blown away by the Gear IconX because truth be told, truly wireless earbuds are still in it’s early stages, it’s a first generation product. 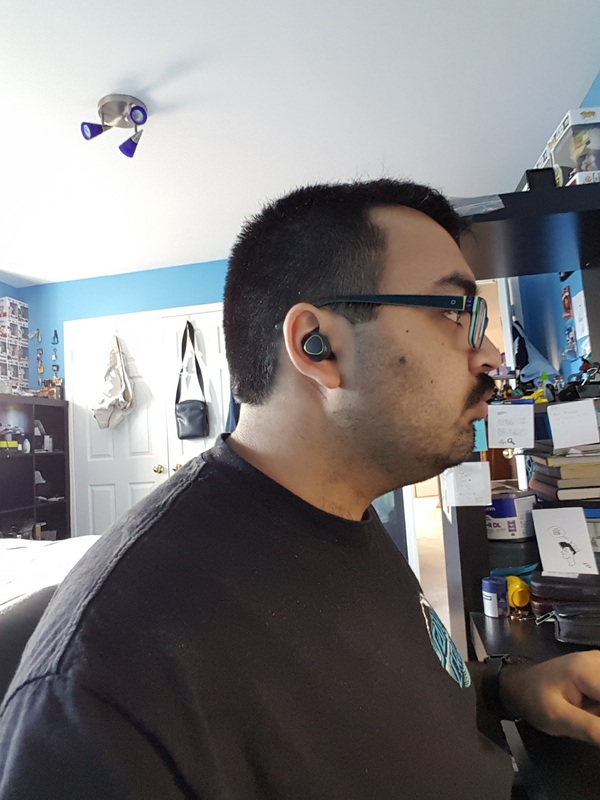 So that’s why I can’t recommend the Gear IconX to anyone at this point, unless you really (really) want wireless earbuds. To everyone else, I would say at least to wait until wireless earbuds have matured a bit more. I would wait for a second generation Gear IconX before taking the plunge on wireless earbuds. For now, I would stick to bluetooth headphones and earbuds for now.